We fully appreciate that the thought of hiring a car can be confusing, time consuming and sometimes expensive! That’s why we have compiled the ultimate guide to hiring a car at Heathrow; from which providers you can choose from to what fees you may be subject to. As well as the above, we’ll also discuss the age requirements, which documents you’ll need to provide and the added extras you’ll need to consider before you pick up your car from Heathrow. 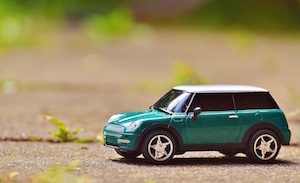 Rather than relying on public transport to get you around on your trip, a hire car offers flexibility and comfort at your disposal; pop the sat-nav on and off you go in your air-conditioned vehicle! Make the most of your time on the British roads travelling to visit the local beauty and tourist spots or simply have the convenience of your own transport for food shopping and seeing the family. Need another reason to hire a car? 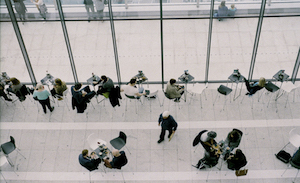 When you take into consideration all the costs involved with public transport; taxi fares, train passes and tube tickets, hiring a car for a week is likely to be much cheaper. The car rental providers at Heathrow Airport can be found within the arrival area of each terminal. Policies from Insurance4carhire come with multilingual international emergency assistance which can be used by simply texting “HELP” for maximum security & safety. Policies can be obtained by drivers aged 21 to 85 years old, and can begin insurance up to 364 days later. We mentioned that hiring a car can be time consuming and sometimes pricey; Car Hire Centre helps smooth the process. Use the form on the left to fill in the details of your trip, and Car Hire Centre will help you find a good deal, no matter what you’re after. With data provided by RentalCars, there will be a car and a price to suit you! You will find a rental desk for each provider in the arrivals concourse in your terminal. The branch however may be a short distance away, usually by free shuttle courtesy of the providers. The map details the locations of each branch and in the details about each provider further down the page, we’ll tell you how to reach them! 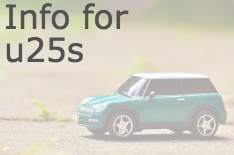 It’s important to know that car hire providers have various age restrictions in place for car hire. 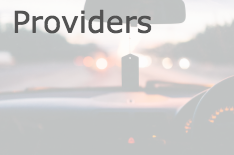 Some providers only require that you are over 21 and have held your driving licence for 3 years or more in order to hire a vehicle, while other providers will stipulate that their hirers are aged over 25. 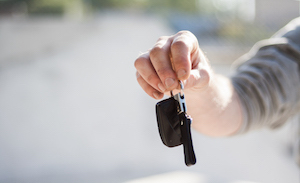 For prestige or luxury vehicle groups, the minimum age to hire the car may even be 30 years old so it’s best to check with them before you hire. 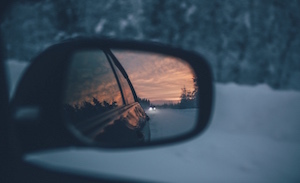 Most providers charge a Young Driver Surcharge (YDS) per rental day for those aged between 21 and 25, the cost of which varies depending on your destination. Below we have detailed each providers minimum age and what their YDS will be. To hire a car from Heathrow Airport you will need to present a form of ID and a valid driver’s licence when you collect your vehicle. Drivers from the UK and Ireland will need to present their card licence as well as their DVLA Code, which can be obtained from the Gov.UK website. If you forget either of these your rental may be cancelled. Any drivers from outside the UK, with a full driving licence, can drive using this for up to 12 months. The first thing you should do when you receive your hire car is to thoroughly inspect it, inside and out. Check for scuffs and scrapes, dents, chips and even burn marks to the upholstery. 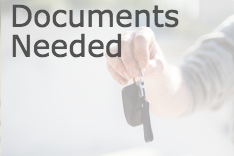 The provider should be more than happy to allow you time to do so, and you should make sure they note down any pre-exisiting damage on the car’s paperwork, which both parties should sign. Why is this so important? You want to cover your own back and not be blamed and subsequently charged for damage that you didn’t cause. Always check the fuel policy of your rental car; Full to Full? Full to Empty? Pre paid with a partial refund? Each have their pros and cons so make sure you do your research. In a nutshell, if they provide you with a full tank of fuel (which you pay for upfront at the time of hire) make sure you know whether you need to return the tank empty, full again or if you can be refunded for any unused fuel. Finally you should make sure you are aware of the road laws and regulations in place at your car hire destination. For example, the national speed limit differs for each country; some meausre their speed in kilometers an hour and some measure speed on miles per hour. On top of this, in the UK and Australia drivers drive on the left hand side of the road and most other countries in the world drive on the right hand side. 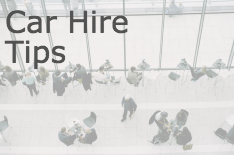 Car Hire Centre has more car hire advice to assist you when hiring a car. Some car hire providers offer the option of a one way hire. This means you can either collect your vehicle from Heathrow Airport and drop it off at any other location in the UK or collect it from a UK location and drive the vehicle to the airport. It is a great option for getting you to or from the airport, especially if you have a lot of luggage. 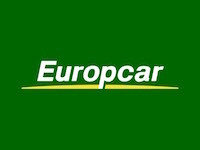 Europcar offer a service called “Airport Connect”. This service means you can book a one way hire and these car hire providers will not charge you any extra. The price starts from £49. All of the cars available from the providers at Heathrow come with additional extras or adaptions upon request. These inlcude child seats, sat navs and disabled hand controls, as well as all having a handy app available to make hiring a car on the go even easier! The table below will hopefully be a helpful guide to what each of the 6 providers offer, to help you find the right hire car for you. Europcar has been providing vehicle rental for over 60 years. 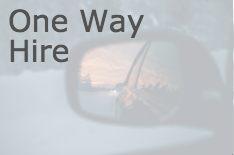 With branches across the world you should be able to find a suitable vehicle for your required destination. Europcar aim to provide you with the best vehicle hire at a low cost. Sixt offer a wide range of high quality vehicles for locations worldwide. Sixt aim to provide their customers with the highest standard of service available at every one of their locations. 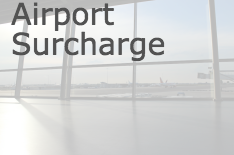 An additional driver can be added for a nominal fee; at Heathrow, this is £12 per day. At their Heathrow location Hertz can provide left or right handed controls on request. Please call the team on 0843 309 3009* to arrange, giving at leats 48hrs notice. Avis aim to provide you with the best and most comfortable vehicles available. Avis have multiple locations across the UK. You can collect your car from the Avis branch at Heathrow Airport and return the car to any one of the UK locations. Budget is one of the largest rental brands in the world. Budget aim to offer vehicles at great value for money. Hand controls can be fitted to the car. Simply call 0344 544 4600 to arrange. Hand controls can be fitted to the car. Simply call 020 8897 2100 to arrange.